Dear Jesse, the idea for Dragons Don't Throw Snowballs came from a school I visited. They actually had such a bad snowstorm that the kids and teachers had to spend the night at school. Luckily, it didn't happen when I was there! 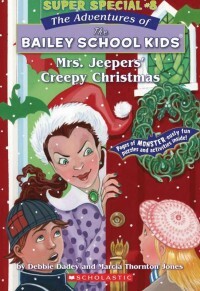 Miah, I'm glad you are liking Mrs. Jeepers Creepy Christmas. Have you found out what was in the coffin in Mrs. Jeepers basement yet? Hi Muhlisa! Check out the creepy shark I made for today's booksigning at the Doylestown Library. Hey Nally, I like your nickname. Krissy, it's a very cold twelve degrees and it's supposed to snow here today. I just finished chapter four in the book I'm writing now. 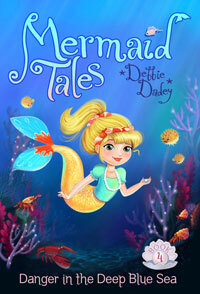 Here's the last line of chapter four: "Oh my gosh!" Wanda screamed. "It is haunted!" Hi Ky. Thanks for your Abraham idea. I do like history. I get ideas from everywhere, including letters like yours! I have three dogs: Bailey, Skip, and Shadow. You can see their pictures at the bottom of this page. 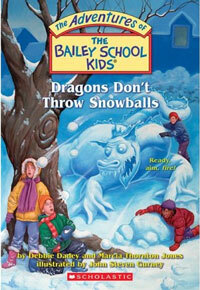 I have lots of favorite BSKs, but since we are supposed to get snow tomorrow, I'm picking Dragons Don't Throw Snowballs. I love the chapter where they are trapped inside the school. Hi Ky! I like your skeleton idea. In fact, Skeletons Don't Play Tubas is one of my favorite Bailey School Kids books. 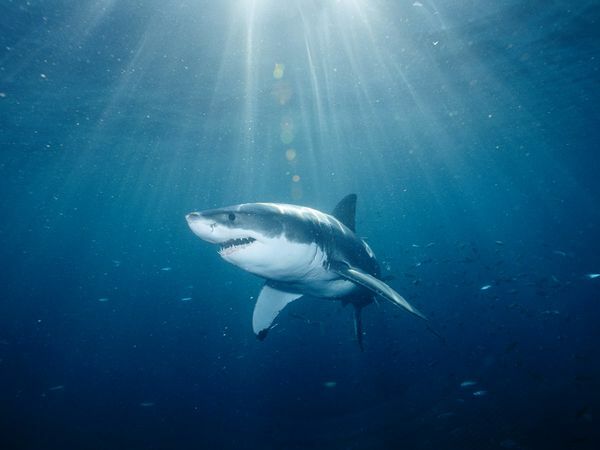 My newest book is about sharks and merkids-Danger in the Deep Blue Sea where some merkids get chased by a great white shark!